Last month, I took issue with Vermont Gov. Peter Shumlin over his dogmatic (and undoubtedly political) stance regarding the FDA's decision to approve a children's version of the powerful narcotic, OxyContin. Shumlin framed the issue as just another means of adding to the enormous narcotic addiction problem in the United States. However, he neglected to mention that OxyContin is already being given to children suffering from severe pain but without FDA guidance regarding dose and proper use, which forces pediatricians to make educated guesses about how to use the drug in kind. The real purpose of FDA approval was to provide this guidance, and take the guesswork out of the process. This issue is now being raised by doctors on a national level. Physicians have expressed an array of opinions about the use of this drug for children. Most are negative, because of the high addiction potential. Some physicians favor the use of the drug, but only for short periods of time. It's not surprising that there's no general consensus, since there is no satisfactory let alone, good way to treat chronic, severe pain in adults or children. All of the drugs that are strong enough to treat severe pain are also addictive. Sarah Miller, writing for the website LiveScience gives a balanced, but cautionary opinion regarding pediatric OxyContin. "Treating chronic pain, especially in children, can be incredibly challenging for doctors," Miller wrote. "There's no single, effective approach that makes pain go away for everyone, and for some patients, none of the existing drugs seem to work completely." It is not surprising that doctors have mixed opinions regarding this issue. 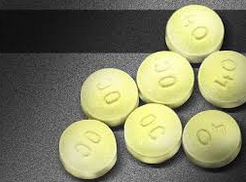 Dr. Andrew Kolodny, a New York psychiatrist, and the director of Physicians for Responsible Opioid Prescribing, said, "the fact is there are going to be times when you need to expose children to an opioid, and there are times when it should be OxyContin." Despite this, Dr. Kolodny is not happy with the FDA's decision. "There really aren't many people that are applauding this decision," he said. "The fact that OxyContin didn't have the indication for the use in children didn't stop doctors. But now that OxyContin is approved while other painkillers still aren t people will be more likely to want to use OxyContin." Dr. Kolodny qualified that statement by adding, "outside of palliative (end of life) care, there's a very limited role [for the drug]." Very similar (and conflicting) opinions have been expressed by other pain specialists. Dr. Tracy Harrison, a pediatric anesthesiologist and the medical director of the Pediatric Pain Rehabilitation Program at the Mayo Clinic in Minnesota said, "A lot of patients, when offered counseling or breathing exercises, assume that doctors think their pain isn't real. ... I have to tell them I know that the pain is real." But, on the other hand, she added, "The use of the drug for chronic pain in children is especially concerning. ... The effects can be 'debilitating' for some patients. ... Instead of going to school and seeing their friends, they're staying in bed." The bottom line is that, even in 2015 over 100 years after aspirin and heroin were discovered there is still no good (or even acceptable) way to treat pain, especially chronic, severe pain. The conflicting statements from physicians clearly reflect this. This is a problem that is unlikely to go away anytime soon.